STK & ADAMA announce an exclusive Distribution Agreement for Timorex® Gold botanical-based biofungicide and STK REGEV® ‘Hybrid’ fungicides throughout Colombia. March 11, 2019 (Tel Aviv, Israel) – STK bio – ag technologies, the innovative Israel-based leader in bio-ag technologies and hybrid technologies for sustainable agriculture and aquaculture, and ADAMA , a global leader in crop protection products, are announcing an exclusive agreement for the distribution of Timorex® Gold botanical-based bio-fungicide and STK REGEV® ‘Hybrid’ fungicide throughout Colombia. Under this exclusive agreement, ADAMA will sell the products throughout Colombia under STK’s trade name, Timorex® Gold and STK REGEV®. 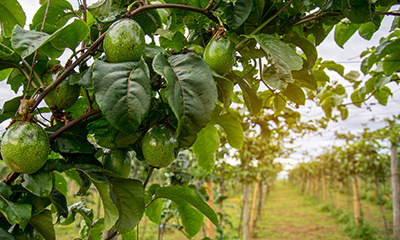 Timorex® Gold is currently approved for use in Colombia for the following crops: Bananas, Rice, Ornamentals, Tomatoes, Avocados, Onions, Coffee, Corn, Tobacco, Potatoes, Passion fruit and Pitahaya. Colombia has also approved STK REGEV® on rice, with expected label extension on bananas, ornamentals, coffee and tomatoes. TIMOREX GOLD® is a highly effective and popular botanical-based bio-fungicide. Based on Tea Tree Oil, TIMOREX GOLD® is used by growers in nearly 40 countries throughout the Americas, Asia, Australia/New Zealand and Israel. TIMOREX GOLD® protects fruits and vegetables from a wide variety of diseases, substantially increases crop yields and quality, leaves no chemical residues, and makes TIMOREX GOLD® treated crops more competitive and agriculture more sustainable internationally. STK REGEV® is the world’s first ‘hybrid’ fungicide. It is used successfully in many countries and several regions of the world. A ready to use mix, STK REGEV® is used exactly as other fungicides, but with the added benefits of reduced chemical residues and much better resistance management due to its highly complex formulation of Tea Tree Oil and Difenoconazole. This easy to use fungicide serves as a ‘bridge,’ enabling farmers who have never used any biological product to try one, without having to mix, rotate or do anything differently, thereby expanding the use of biological products for sustainable agriculture.